E-media Inc. provided a 36 sign network at the Atlanta Airport to guide and inform athletes, their families, and Olympic officials as they received their credentials. The network was sponsored by Panasonic. 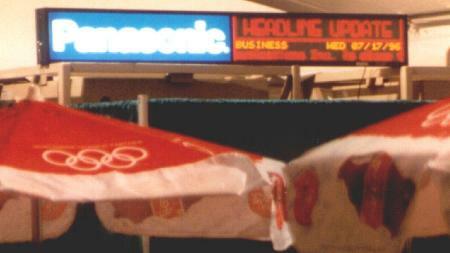 Sports news, International news, and Olympic standings were distributed over the E-media Wireless Network.